Definition - What does Eka Pada Pranamasana mean? 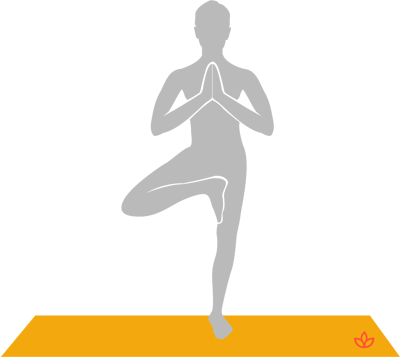 The posture is a combination of pranamasana (prayer pose) and vrksasana (tree pose). The leg position mirrors vrksasana with the yogi standing on one leg and bending the other leg so the sole of the foot rests on the inner thigh of its opposite. The hands are placed in prayer position at the heart center. Eka pada pranamasana is known as one-legged prayer pose or one-legged salutation pose in English. In addition to improving balance, posture and leg strength, eka pada pranamasana improves focus and awareness, without which the wandering mind results in a loss of balance. This asana also promotes self-confidence and willpower, calms the mind, and develops mental and spiritual balance. Eka pada pranamasana is often practiced as a resting pose and at the end of an asana series in preparation for pranayama and meditation. Traditionally, it is believed to open the anahata (heart) chakra, which is associated with love, forgiveness, compassion, openness and empathy.